And angel depicted in "The Annunciation" (1506) by Gerard David, from the collection of the Metropolitan Museum of Art, New York. They're a critical part of any Christmas pageant, like the one at New York's Fifth Avenue Presbyterian Church. Angels only announce the birth of Jesus ("Do not be afraid"). And those halos and wings make the kids playing them look pretty darn cute. This time of year, angels are among us in a big way. You could say it's their high season. They play a starring role on just about every Christmas tree. A magnificent example at New York's Metropolitan Museum of Art is filled with Neapolitan figures from the 18th century. Angels are often seen with flowing robes, like the ones at the Crystal Cathedral in Orange County, California. Others wear little more than wings (as in Victoria's Secret's version). But what exactly are angels, anyway? And are they real? Smith asked some children adorned in angel costumes: "Do you believe in angels?" When asked what angels do, Catherine answered, "I've got no idea." "They sort of look like humans except they always wear white and they have wings," said Kaelin. "They are close to God," said 9-year-old Alex, "and if you believe in God then you believe in angels." A recent survey by the Pew Forum found 68 percent of Americans say they do believe in angels. To be more precise, they either "completely agree" or "mostly agree" that angels (and demons) are active in this world. "I would like to believe that there are angels," one woman told us. "I like the idea that there are people watching over us." Another woman said, "I'm sure that I have been protected by some." One man said, "Everyone has a guardian angel, whether they believe it or not." Two other men were more circumspect: "I definitely believe there's a spiritual force out there, but until they show themselves I'm going to have to go with a 'maybe.'" And another said, "I have to say that I haven't seen one yet so I wouldn't believe in one until I did see one." "I think the power in the idea of angels is that angels can change people's lives," said Edward Grinnan, the editor of Guideposts, the inspirational magazine where readers often share stories about their own angel encounters. "Angels are emissaries from heaven," Grinnan said, "and they bring comfort and they give hope. And wherever people find comfort and hope in their day, I think they can see that at least in part as an angelic experience." In fact, Guideposts found that so many people had angelic experiences that in 1995, they created a separate bi-monthly magazine called Angels on Earth. "You know, we talk about seeing angels everyday and people do see angels in the everyday," said editor Colleen Hughes (left). "Why is it the majority of Americans believe in angels?" Smith asked. "Because too much stuff happens to us that we can't explain," said Hughes. "There are coincidences that we're willing to chalk up to coincidence, and there's too much that we aren't, because we have this feeling that it was something else." Tom Elliott and his son Zack believe they met an angel at a San Francisco Giants baseball game. Zack's a huge Giants fan, just like his dad, and his dad's dad (whom they called "Pa"). "I said someday we'll be able to see a game together, the three of us, the three generations," Tom said. But Pa died before they ever got the chance. They were still in mourning when a friend offered Tom two tickets to a game. But when they got to the box office, the tickets couldn't be found. "We backed away from the window, kind of looked at each other in total despair, not really sure what we were gonna do," said Tom. "He said, 'I've got 2 tickets for you here,'" Tom recalled. "'I want your young son to see the game,' and he just handed us two tickets. And as we looked down at the tickets, he turned around and walked away. Before we could barely even say 'thank you.'" But there's more to the story. The seats were some of the best in the house, right above home plate - and there were not 2, but 3 of them. In a sold-out stadium, one seat stayed empty the entire game. "I said, 'Man, what a great seat like that and a great game and nobody sat there?' And then Zack turned to me." "I said, 'Dad, someone was sitting there the whole time.' We got to finally watch a game with Pa. That was the best game possible." "Is it possible that the guy who gave him the tickets could have just been a nice guy, not an angel?" Smith asked. "Well, Tracy, what I would ask you is, 'Does it matter?'" Grinnan said. "I mean, it's the interpretation of Tom and his son that really does matter. And to them, that man was an angel. He performed an angelic deed, if you will. And his actual origins I don't think are as relevant as the effect that that deed had on those two people." Of course, there are those who think angels are as real as Rudolf the Red-Nosed Reindeer. Earlier this month, atheists put a sign up next to a nativity scene at a state building in Washington that read in part, "There are no angels." But there's no denying we have a long history with these winged creatures - real or imagined. For Ines Powell at the Metropolitan Museum of Art in Manhattan, angels exist in many cultures. She showed us one angel that came from a palace in what is now Iraq, built around 850 B.C. The very word "angel" comes from the Greek word for messenger. "Eros is also a little person who moves from heaven to earth, who kind of brings down to earth his mother's wishes," Powell said. "So this little figure is sometimes very good, brings love between people." There are angels in Judaism and Islam, and winged figures in Buddhism and Hinduism. "The idea is that they are the messenger of the gods," Powell said. In pop culture, angels tend to be the "guardian" variety. 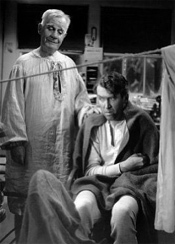 The most famous movie angel is probably Clarence from "It's a Wonderful Life," who earned his wings helping out George Bailey, played by Jimmy Stewart. On TV the hit show "Touched By an Angel" ran from 1994-2003. Martha Williamson was the executive producer. "I know what people like to hear about angels, because 24 million people watched 'Touched By an Angel' for nine years," she told Smith. "And what they responded to was the fact that an angel was a messenger from God who brought healing, who brought encouragement, who sometimes brought some correction. Always brought comfort and truth." You can even own your own angel statue for $400. Still, especially around the holidays, the very idea of angels can serve to inspire even some of us less halo-worthy creatures here on Earth. Take the "angel trees," a holiday tradition for the Salvation Army. Written on each tag is the name of a needy child and a wish, so folks can buy a gift, and become (in a sense) angels themselves. "Whenever I find people who inspire me and people who motivate me and people who comfort me, I'm touching an angel in some way, or being touched by an angel as the TV show said," said Grinnan. "So, I think angels occur in your life as frequently as you want to look for them." Some maybe it's a good time to celebrate angels, whatever form they take.